Did you know that in the future, the Summer Mall located at Kota Samarahan will be making a water theme park for its customers? Hearing this, I asked myself, are there any other water theme parks here in Kuching? Surprisingly there is. 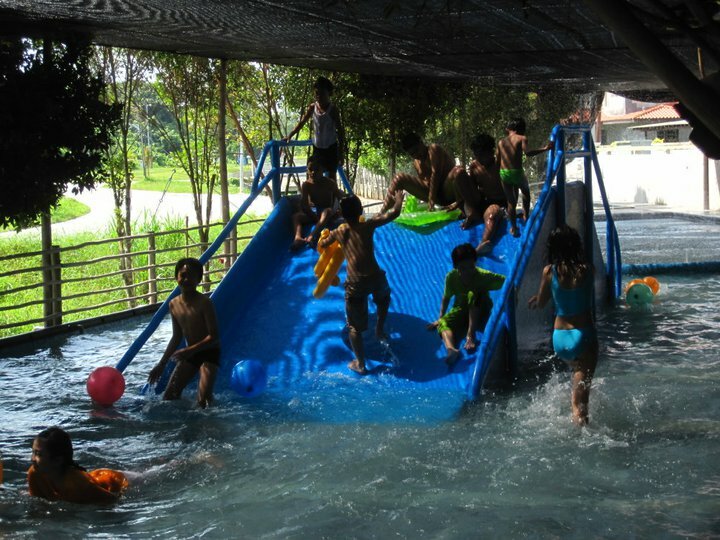 Located in Matang, Sinar Serapi Eco Theme Park will provide you with some simple enjoyments of a water theme park and letting you know what to expect from the bigger theme park. Sinar Serapi Eco Theme Park is located in Matang, Kuching and is a simple theme park with various kinds of activities that can be done there. It was opened in 2010 but is still not very known in Kuching probably because of the location and the competition with the more popular Santubong beach. Sinar Serapi Eco Theme Park also has a resort for people to stay and it is actually a good place for relaxing as it is located far away from the city. The theme park also has a nice backdrop of Gunung Serapi making you feeling near yet far from the city. There are a number of activities that could be done there. One of it is the kids’ pool. It is a nice spot if you have children and want them to have fun. This pool has two attractions and one of them is the pool with water current and kids would just enjoy being pushed by the current around the pool using a float. Then there is the other side of the pool with a small water slide for your children to have a little fun sliding into the water. Swimming pools for adults are still in the planning but not to worry, there are still other interesting activities to do there. 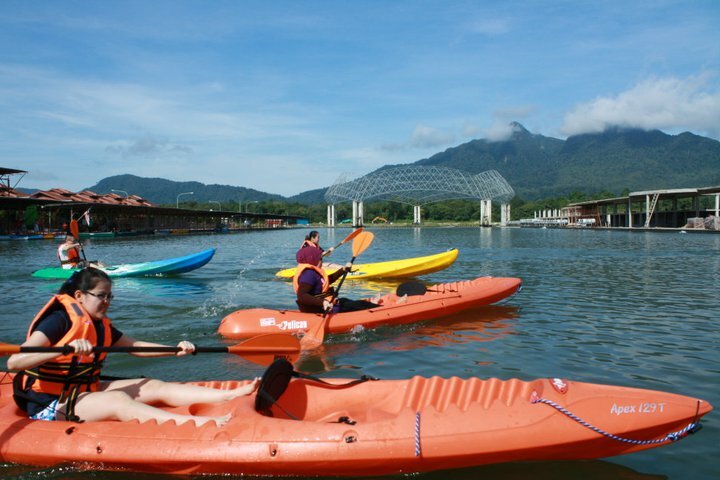 Other water activities that can be done there are kayaking, paddle boat and a boat ride. There is a large lake in the theme park for these activities. Have some fun kayaking with your friends and family with a number of kayaks to choose from. Be it a one sitter or two sitter, they have it there for you to enjoy. Maybe you would want to go on a relaxing stroll around the lake? Then you could just get the paddle boat and paddle at your own pace while enjoying the scenery and also the ride. If you prefer to just do nothing, then you can still go on a boat ride where you will be brought on a leisure ride around the lake by the workers there. 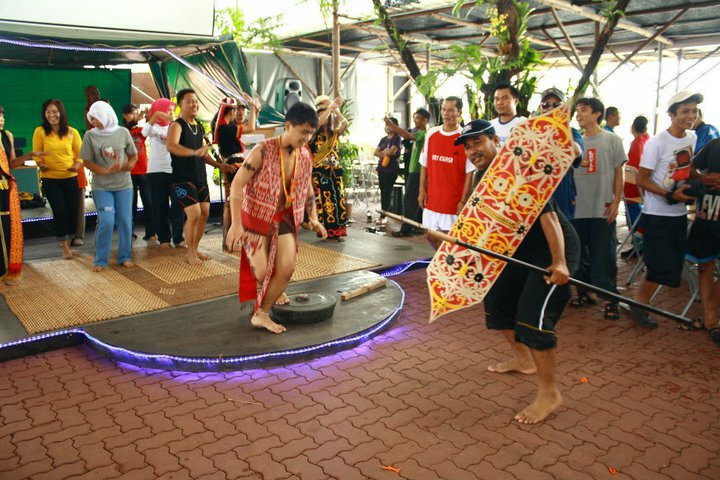 Sinar Serapi Theme Park is not only a waterpark though, on land, there are also other interesting activities that you could consider. Some of it is the ATV bike and Mini Atv riding, a horse ride, pool table and even carom. Other interesting things that are at the theme park are like mini markets, a dining area and even a bar. Not forgetting there are also performances to enjoy in the night. Sinar Serapi is really a place to go in Kuching. There are lots of activities to be done there and you should even consider staying a night at the resort. To enjoy it all you must stay a whole day there. So pack your bags and go to Sinar Serapi Theme Park and have a fun yet inexpensive holiday.